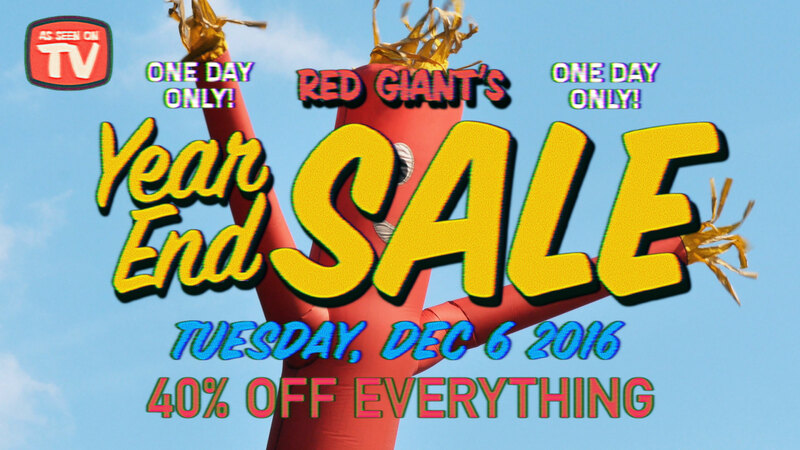 Red Giant | SALE: Our 40%-Off Sale is Coming Dec. 6! SALE: Our 40%-Off Sale is Coming Dec. 6! Pluraleyes 4 (4.1) is $299. 40% off would make it $179, not $120 right? I hope it’s only $120. I’m counting the days! I’m so sorry to report that this was a mistake and the price would be $179 during the sale. So I’m setting up to do some post work and I’m also counting down the days to the sale – thank you guys for offering this, it helps Indies like myself afford tools that are usually out of budget reach. 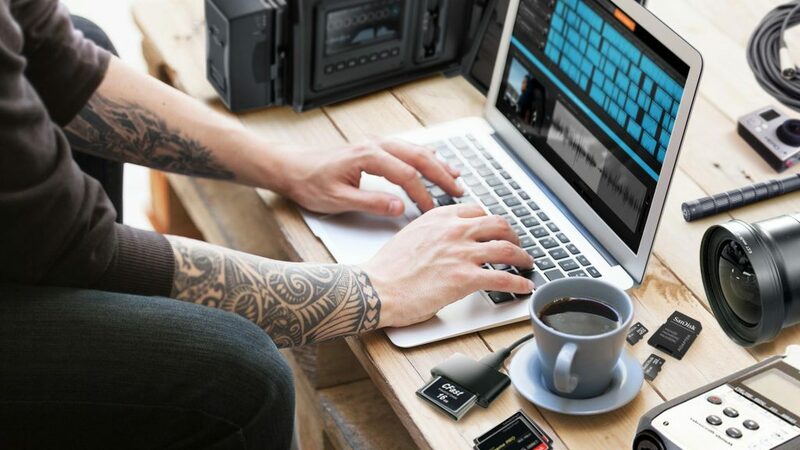 Quick question – I’m still deciding on a workflow in my post production process between using a mac or pc, and whether I’ll be using Adobe AE or Apple FCP for much of my work. When purchasing the items on sale, like Magic Bullet Looks, etc – is the license for it across any platform? E.G., if I use FCP at first on a Mac and then change my mind later on to use AE on a PC, does it require re-purchasing the license? I’d understand if they are nodelocked but I didn’t know if that’s transferrable so long as it’s legally being used. So would Trapcode Particular be $160? Particular is $399 so the sale price would be about $240. If you are looking at the academic pricing, it would be 40% off the academic discount. So…. when paired with the academic discount we are talking 90% off??? It would be 40% off the academic discount. Please make sure your account is approved for the academic discount before the sale. i’m a student do will the sales count towards the 50%? so 90% off? May I ask – the country is doing their sales this week, but yours is in 2.5 weeks away from today ? why is that ? Thanks. Fair enough – Its just one of those weeks I need what you have and I need it now, and I am sick of missing out on discounts, but your mega saving 40% off is just too good, YOU ARE KILLING ME ! lol ! Thanks for the reply – Sweet! I was really excited about the upcoming sale and picking up Denoiser and Colorista but is it true that neither plug in will work on Adobe CS6? The latest Magic Bullet Suite is compatible with CC2014 and later, not CS6. Hi, will 40% off count for users buying in the UK? The sale is for everyone! When checking out, please make sure you submit the coupon code and you will receive the percentage off. Is the 40% applicable to upgrade Magic Bullet Suite 12 to Magic Bullet Suite 13? How much will it cost? I am looking forward to it. The sale applies to full, upgrade and academic prices. You will be able to apply the 40% off coupon code the the Magic Bullet Suite $299 upgrade. Hi there – does this apply to volume licenses? The December 6th Year End sale is applicable to all Red Giant products purchased through our online store, including academically priced products, upgrades and Universe subscriptions. Volume licenses are not an option to be purchased on the online store. Please contact sales@redgiant.com for Volume pricing. Is the offer for student avaiable for french student ? Please send proof of enrollment to academic@redgiant.com before the sale so they may approve you. I very much look forward to your 40% off sale. Thanks for helping us starving artists. I would like to make two separate purchases on the day of the sale. One will be from one credit account and the second from a different account. Can I still get 40% on each purchase or do I have only one purchase that would be 40% off. Thanks in advance. Looking forward to Tuesday. As long as you are purchasing during the sale timeframe, then you shouldn’t have any problem using the coupon code no matter the account. You are not limited to a ‘one time use only’. Is there any chance I can still purchase Colorista 3? We do not sell older versions of our products. But if you own the current Colorista our support team will be happy to help with installing version 3 on your system. 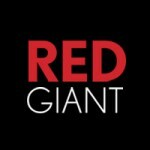 Please feel free to reach out to support@redgiant.com for this information. There a still a lot of People out there who do not like Adobe’s changed policy of monthly charges and who – like me – will stay with CS6. Will you add CS 6 compatibilty for MB Suite 13? Or can we at least still buy the previous Version if you don’t? Unfortunately Magic Bullet Suite 13 products are not compatible with Adobe CS6 host applications, This is primarily to take advantage of GPU acceleration support (OpenCL/CUDA) in order to provide faster performance in our plugins. Unfortunately CS6 was released before the integration of this technology. We will not likely add CS6 compatibility for Magic Bullet Suite 13. Although we do not sell older versions of our products, if you own the current product our support team may be able to help install the previous version of the Magic Bullet Suite 12 for CS6. 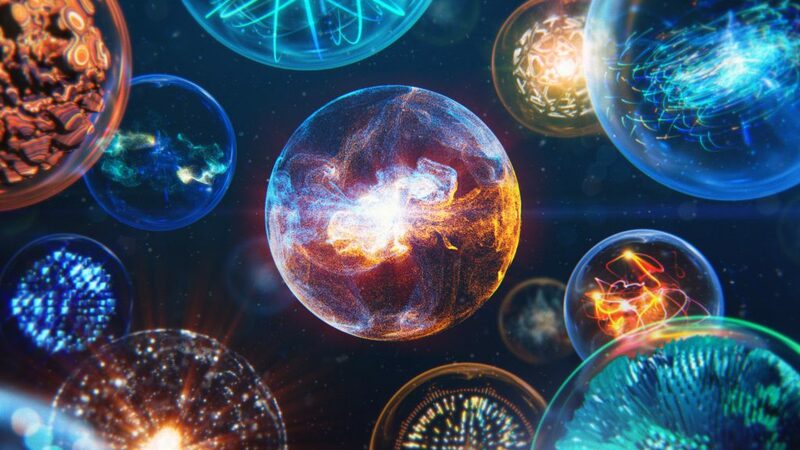 Please feel free to reach out to support@redgiant.com regarding this process. I have a question about the tech sale and student discount. I would like to know as a student if I want to buy the Shooter Suite how much will I get it for? I’ve already sent my student details to Red Giant and is the discount already applied at the checkout? If your account is already approved for the academic discount then you will receive 40% off of the $199 Shooter Suite academic pricing. When checking out, select the academic priced product, add the sale coupon code and check out as normal. Well, its the 6th, and I can’t seem to get the 40% off thing to work, is there a problem or does someone at RED G have to press a button ?? The sale starts at 8am PST (in a few minutes). We will post the coupon code once the sale begins. Well, its now the 6th, and I can’t seem to get the 40% off to work ? What on earth is going on ? My Universe Membership runs till May 2017. Can I renew it in your sale on Tuesday to start from May 2017 for another year? P.S. I would be buying something else aswell. I really got to buy Plural eyes. You would need to cancel your current subscription and repurchase today to get the discount. I am obviously missing something. The instructions said that the coupon code will be located all over the site. I don’t see it. Please advise. Allrighty peeps, where is the promocode? 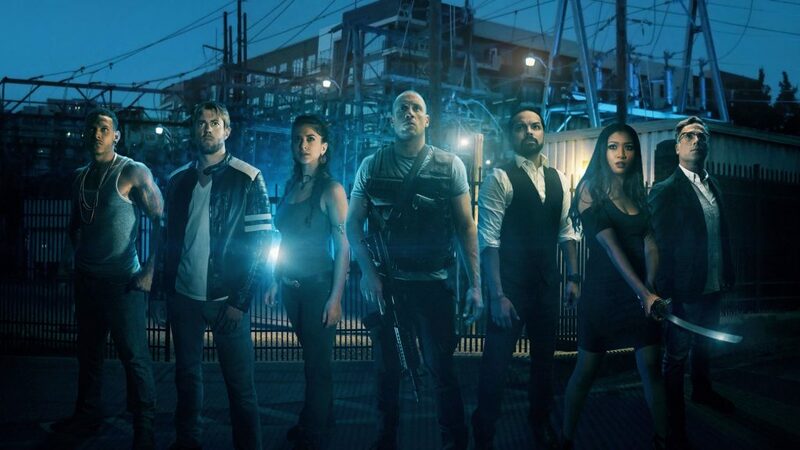 Its coming! The sale starts at 8am PST (in a few minutes). We will post the coupon code everywhere once the sale begins. Can you just post the discount code on your FB page or something instead of making this a “Where’s Waldo” situation? The sale starts at 8am PST (in a few minutes). We will post the coupon code everywhere once the sale begins. hi where i can find the coupon code to 40% OFF EVERYTHING? It will be posted soon! The sale starts 8am PT. Thank you for your patience. We are as excited as everyone else. Has it started yet? I have xmas but waiting to get this over with no joke! Red Giant you guys are doing us a great deal! bless you all. Not yet! The code will be posted at 8am PT. Where it is the promotion? Has the sales started yet? Where can I get the promotional code? The code will be posted in a few minutes. The sale will begin at 8am PT. I am not seeing the discounts on the site for the December 6 sale yet. Am I missing something? What’s the coupon code. I can’t see any discounts?!? Today is the day I don’t see it anywhere let alone everywhere. Hello, where is the 40% off? I try to buy things today but till now nothing is effective. Why promise if it’s not an the site? The sale starts at 8am PST. We will post the coupon code once the sale begins. Is there a coupon code? I can’t seem to find how to apply the sale for today. Please contact sales@redgiant.com to make sure your company is still approved for the academic discount. Please note we do not give out academic discounts on upgrades. I’m an old customer coming back. i loved editing my pics in looks / photoshop…. if i get the new pack (which doesn’t look like it has photolooks. and minutes until the sale. (albeit a good problems to have, kinda)…. While we do not support Photolooks any longer, the installation of the latest Magic Bullet Suite should not uninstall your Photolooks. I’ve sent your comment to our support team who will be better able to assist. I’m trying to purchase the Red Giant Universe 2 subscription with my academic discount and the 40% off however it only allows me to use one discount. For most of your academic priced items it’s applied to the price item itself but with Universe it’s applied as a $50 off coupon in your cart. Is there any work around for this? If not it’s understandable. There is a work around! Sale or Support will be able to give you a code that will include the sale and academic discounts. I really wish to see that 40% off video again. It was great. It has been taken down from the internet though. Is there a way I can view this again? Thank you so much! We were really happy on how it turned out! Unfortunately, it has been removed since the sale is officially over.